N1 is a new spec office and technology campus in the heart of North San Jose’s employment center. Unlike some recent proposals, N1 embraces the city's more urban vision for the corridor. 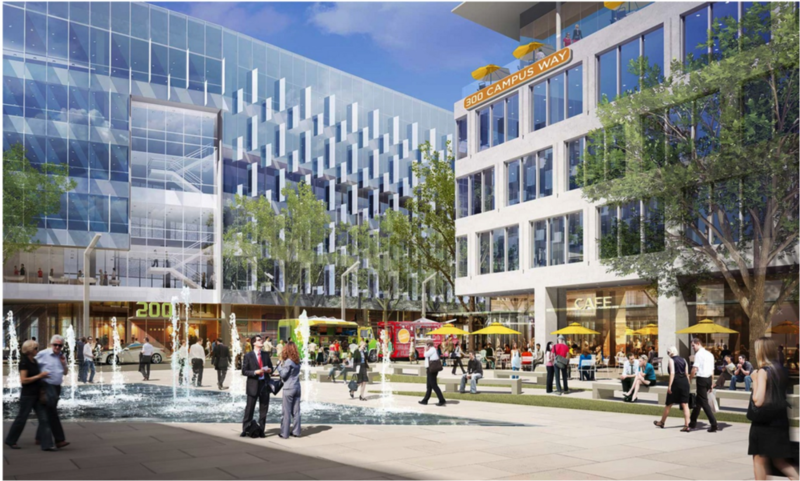 Its buildings are oriented around a plaza adjacent to light rail, with active ground floor uses and a variety of amenities. At the same time, N1 provides the large floor plates, parking ratios and phasing options demanded by the South Bay tech office market. By embracing a more urban vision rooted in today’s market realities, N1 looks to be the bridge to a more amenity-rich employment center that can draw today’s top talent. Urban character can differentiate a project in the tech-employment market. A walkable environment can be achieved in high-security buildings with large floor plates. Smart phasing can reduce up-front costs, with public amenities coming first and surface parking following on future development sites.